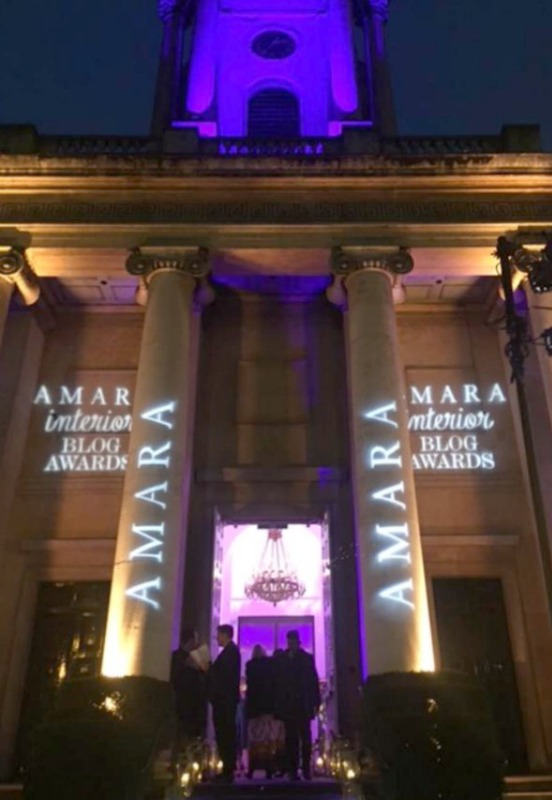 We interrupt your regularly scheduled holiday decor inspiration and serene house tours to bring you Secrets from the Amara Interior Blog Awards. In case you are just tuning in, I traveled to London about a month ago to attend the awards as a shortlisted nominee for Best Written Blog. I didn’t win a thing, but an impromptu week in London with your best friends is one heck of a consolation prize! 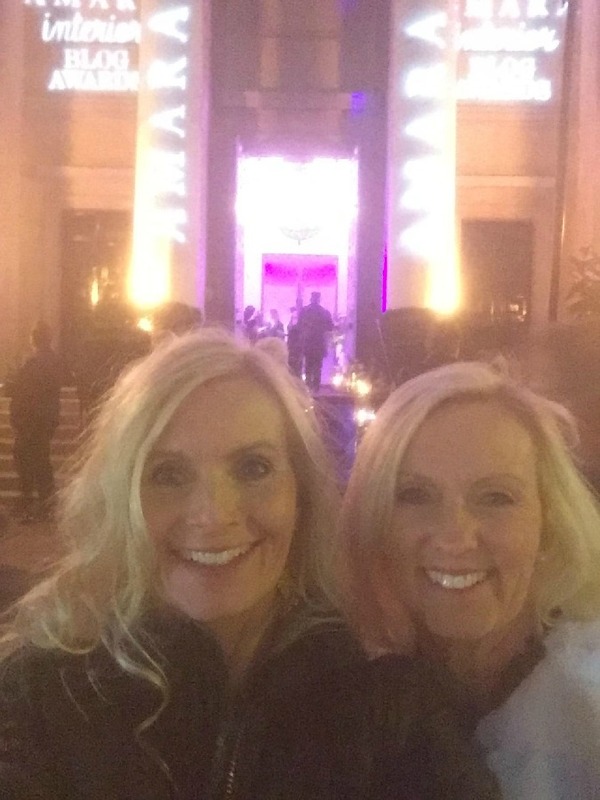 After the awards…on the steps at One Marylebone. Hello Lovely Studio. 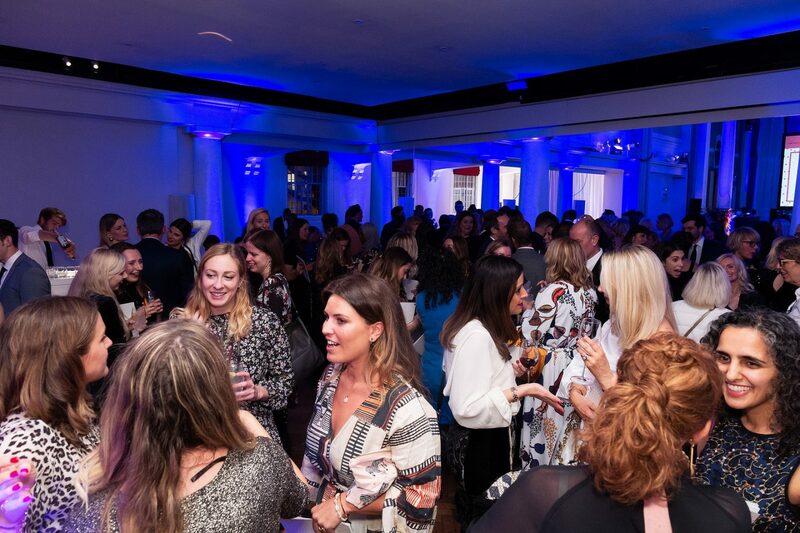 10 Secrets from the Amara Interior Blog Awards 2018 in London. 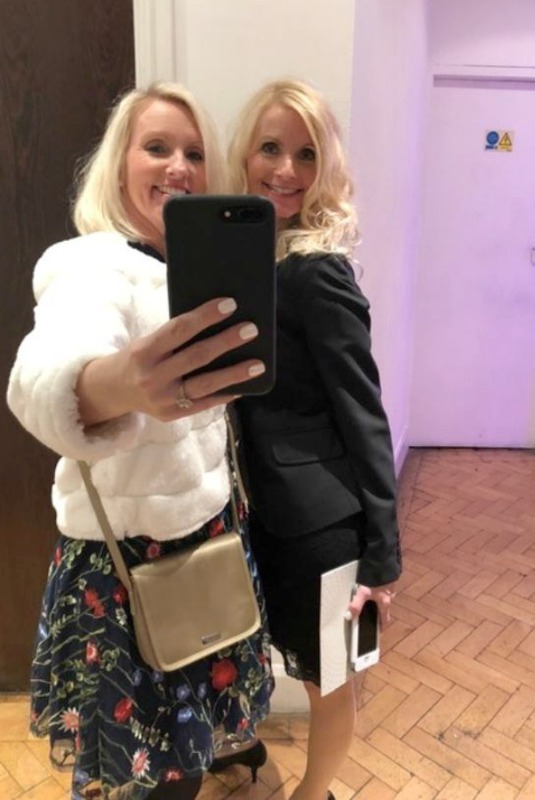 When my: partner in crime, most loyal supporter of Hello Lovely, favorite photographer, and beloved sister, Jo, decided she should accompany me to London since it is her happy place – I was thrilled. With my husband unable to get away from work that week, it was slated as a girl trip. When Jo’s husband decided he wanted in on the shenanigans, the trip was fast turning into a friendfest. Then, just days before departure, my husband’s schedule opened up so he was suddenly free to party! Wait, secrets? I don’t know. They’re kind of random and cheeky (and may not make a lot of sense to non-bloggers). Cherish the awesome blog readers whose votes landed you on the shortlist and on the plane for an across the pond vacay with best friends who just happen to be family. We decided to rent a home in Holland Park and live like the locals there while exploring history and sites of the city (and taking photos of doors in Notting Hill!). 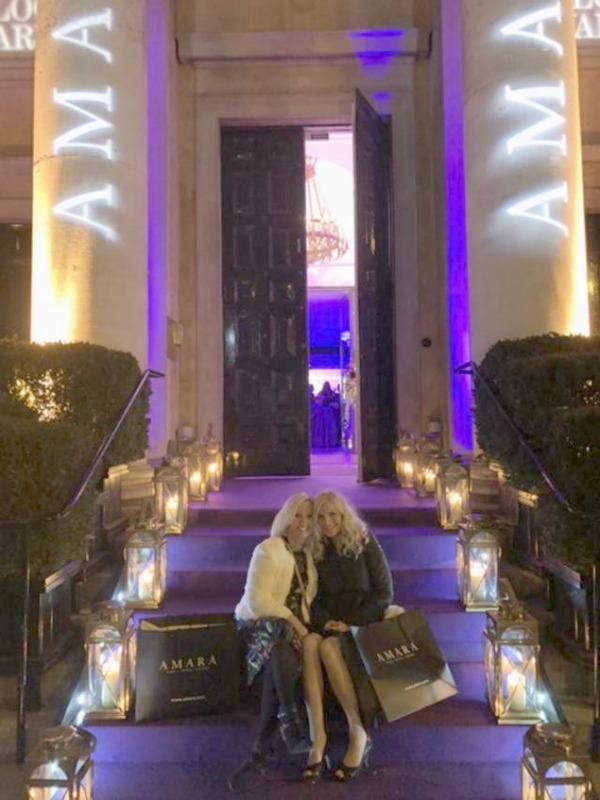 While the husbands attended a concert in London, the sisters attended the Amara Interior Blog Awards. 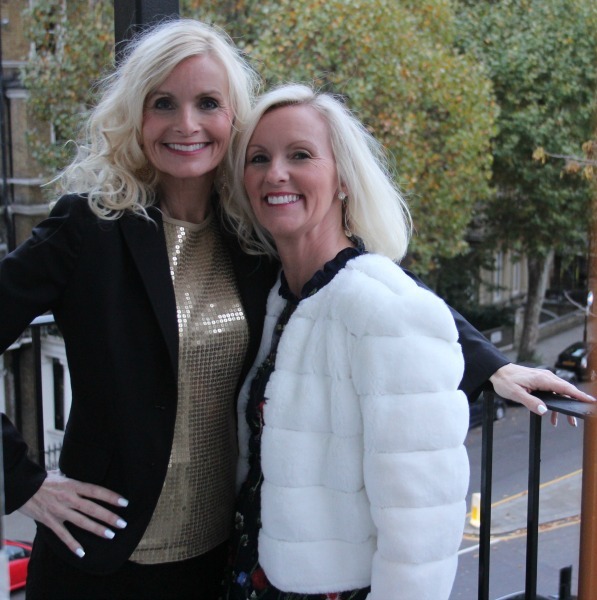 Here we are posing for a few photos on the balcony of our Holland Park flat before we headed to One Marylebone for the ceremony. Michele and Jody. Hello Lovely Studio. 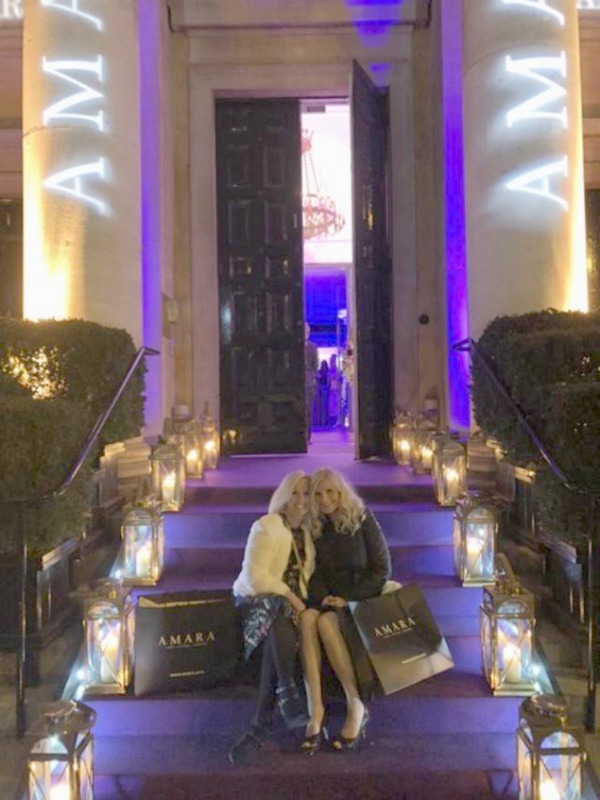 10 Secrets from the Amara Interior Blog Awards 2018 in London. 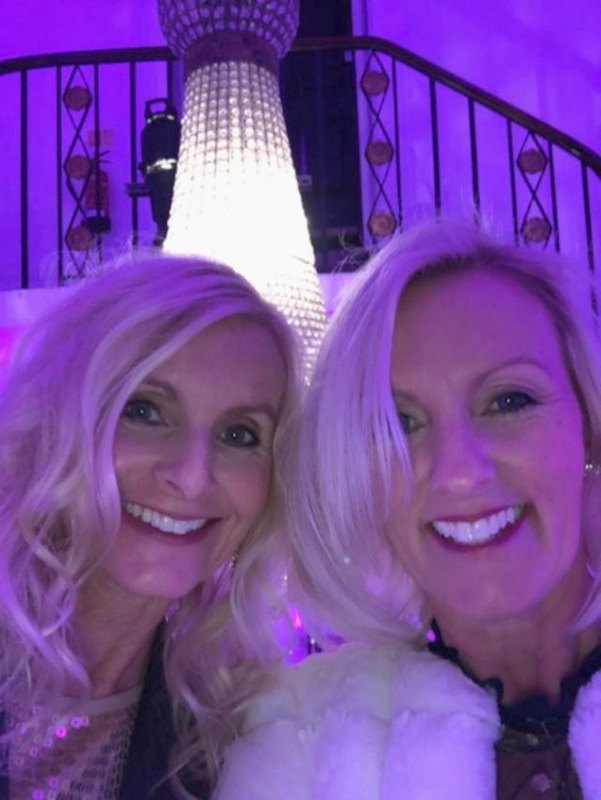 I have two younger sisters, and it is Jody and I who tested positive for BRCA2 genetic mutation and embarked upon a previvor journey together, undergoing prophylactic surgeries and reconstruction TOGETHER...read about it here. No need to dress conservatively for the event! I had chosen a purple gown for the evening but changed my mind when I felt like sort of a frumpy mother of the bride. So I went for comfort and conservative. 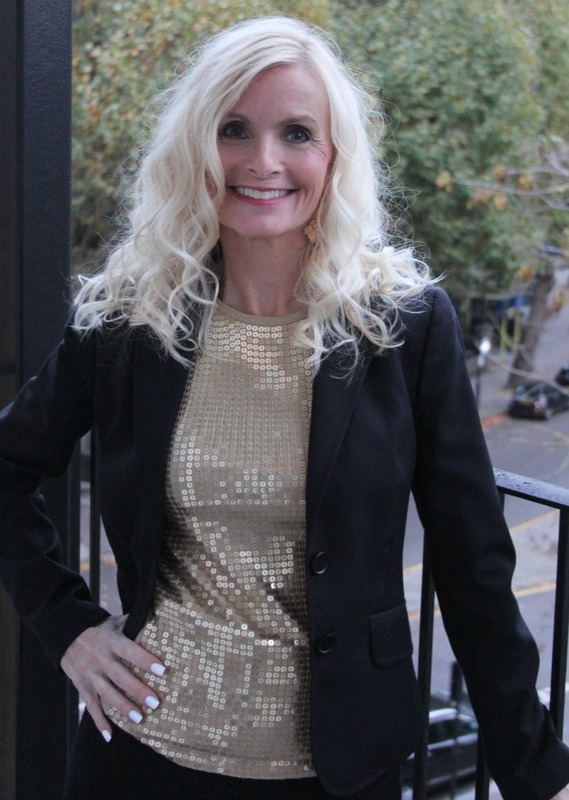 My outfit was simply pulled from my closet (black lace pencil skirt which unfortunately was ill fitting due to weight loss so the waist was rolled down, and I look like I have a belly; sequin shell by Michael Kors; blazer from J. Crew; shoes are Kate Spade). Jody. Hello Lovely Studio. 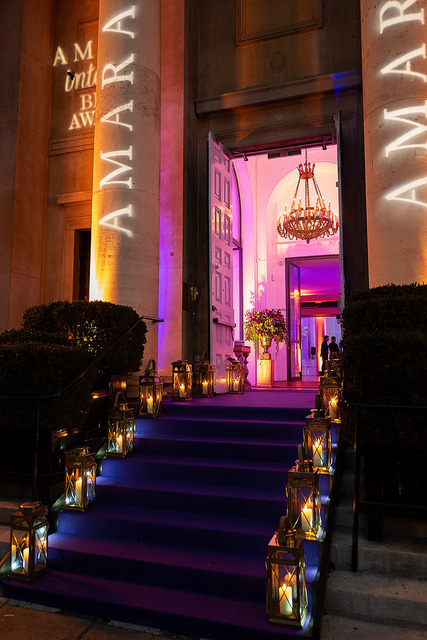 10 Secrets from the Amara Interior Blog Awards 2018 in London. My cutie little sister wore a navy floral dress, super chic navy ankle boots, and a fleecy white jacket. It had ‘party’ written all over it and was just perfect. 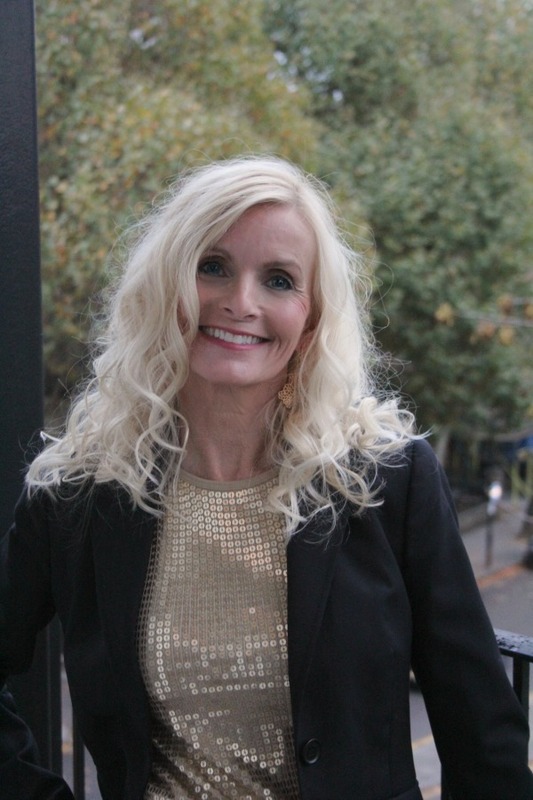 Jody used to run a designer showroom at the Merchandise Mart in Chicago and now enjoys selling posh apparel from her closet. Hello Lovely Studio. 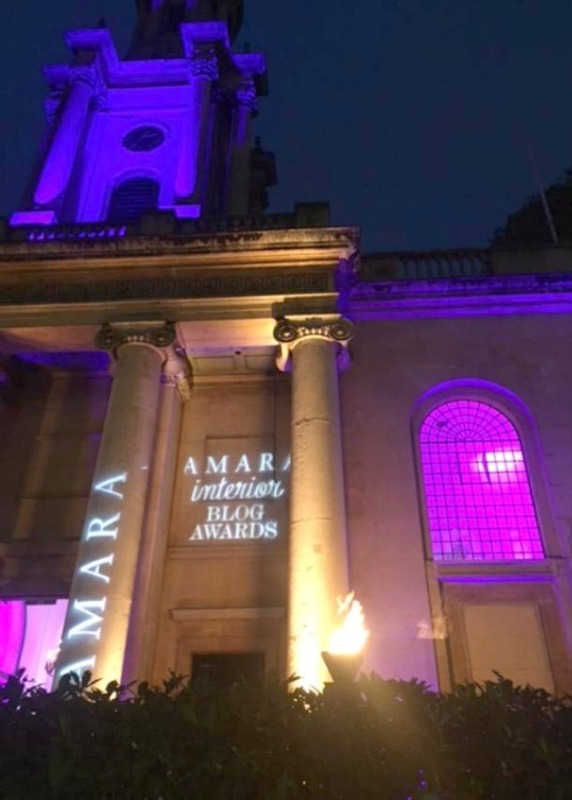 10 Secrets from the Amara Interior Blog Awards 2018 in London. 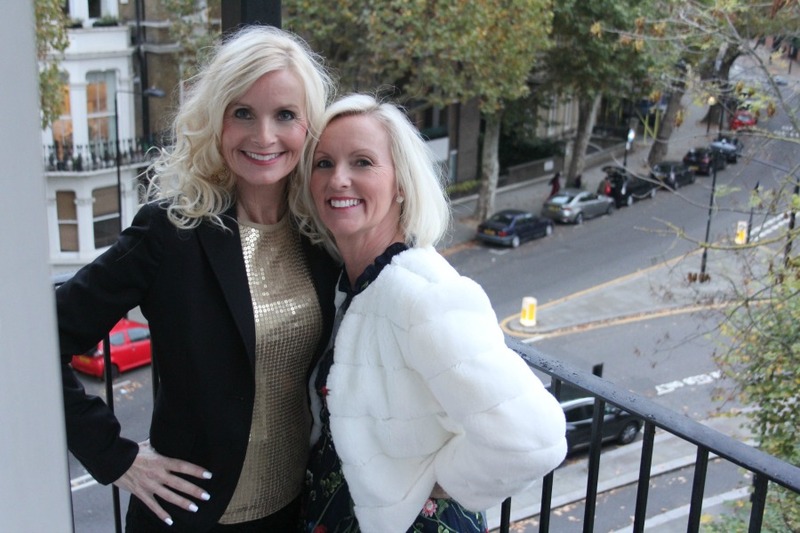 No glam squad and not much fussing – just pure fun getting ready together in the vintage apartment which had horrible lighting! Me.Hello Lovely Studio. 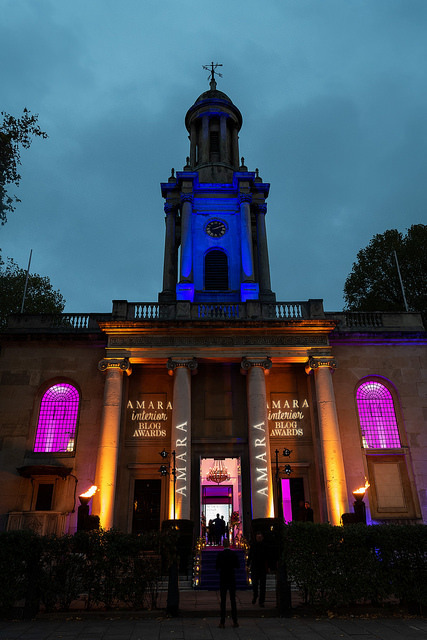 10 Secrets from the Amara Interior Blog Awards 2018 in London. We double checked to make sure we got a decent photo before heading to the tube. 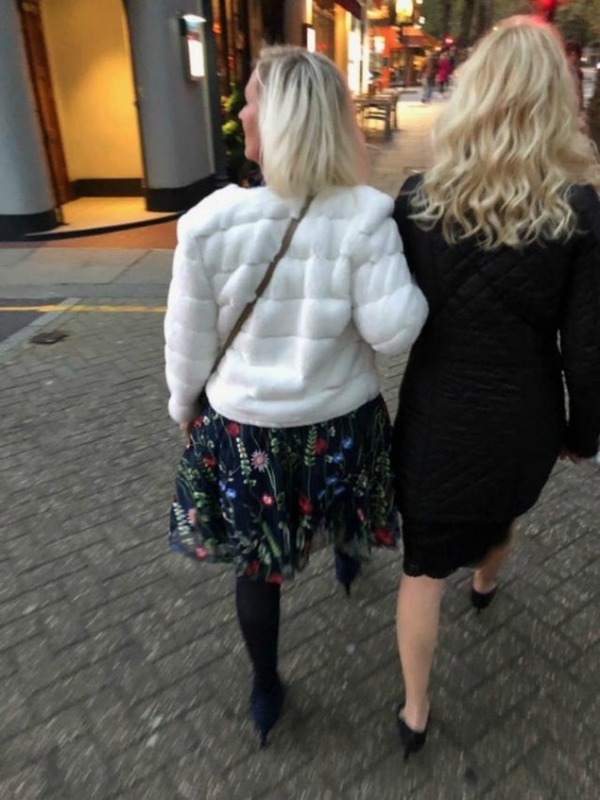 Yes, indeed, these sisters walked their tootsies off in London! It was FUN in spite of the fact I was only a few weeks post-op. Aside: I wore pantyhose. Had not worn those in decades, but I was going for a grownup look, and I mean…what if I ran into Meghan or Kate? 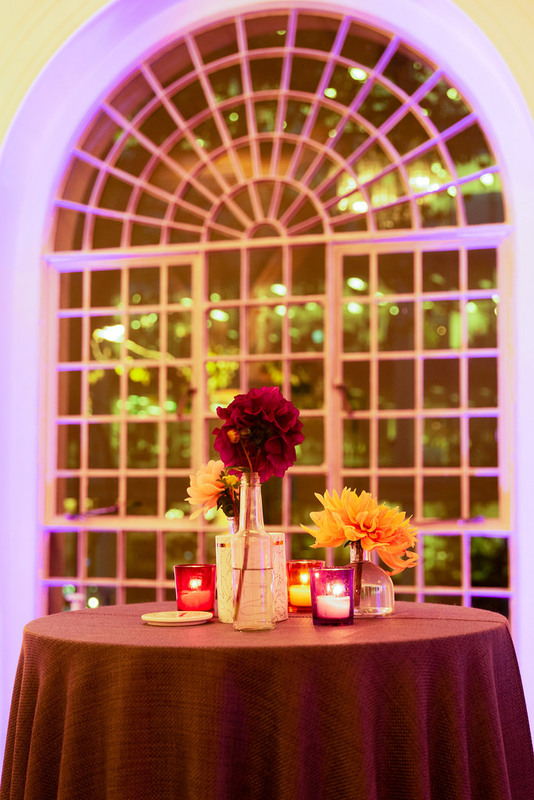 We were awestruck when we arrived to the venue…violet gorgeousness! Amara attends to all of those details which make design savvy invitees feel honored and special. Amara founders, Sam and Andrew Hood truly embrace the world of interiors and the creatives moving within it. 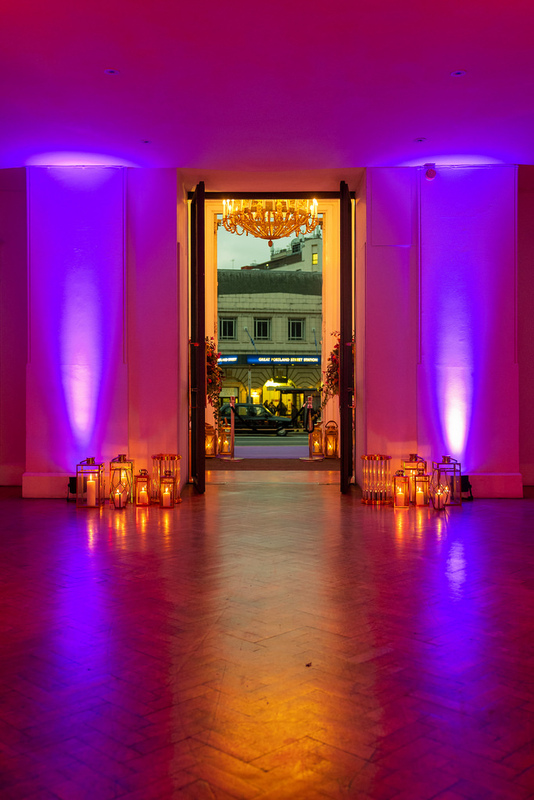 We knew the evening would be beautiful when we were greeted by these lanterns and those lovely doors at One Marylebone (a landmark former church designed by Sir John Soane, with smart spaces for events including weddings). One Marylebone. Hello Lovely Studio. 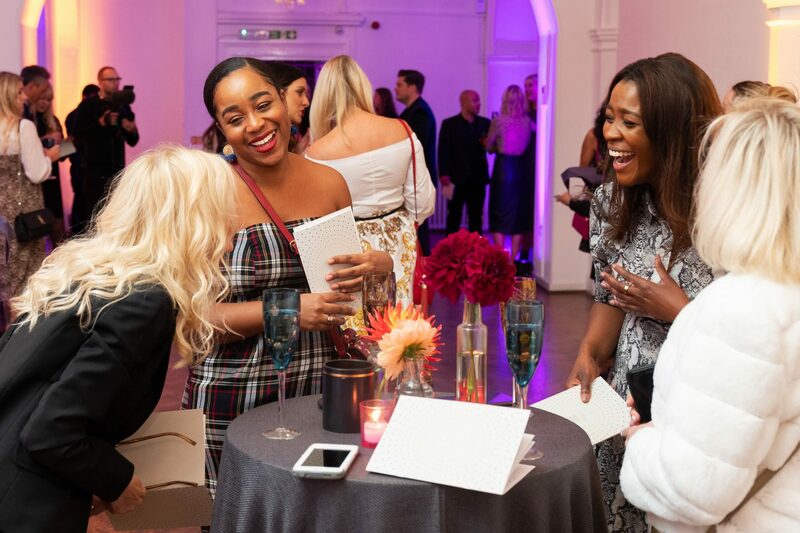 10 Secrets from the Amara Interior Blog Awards 2018 in London. Isn’t the glow chic and club-like? The neo-classical building was formerly Holy Trinity Church, built in 1826-28, and designed by famed architect Sir John Soane. 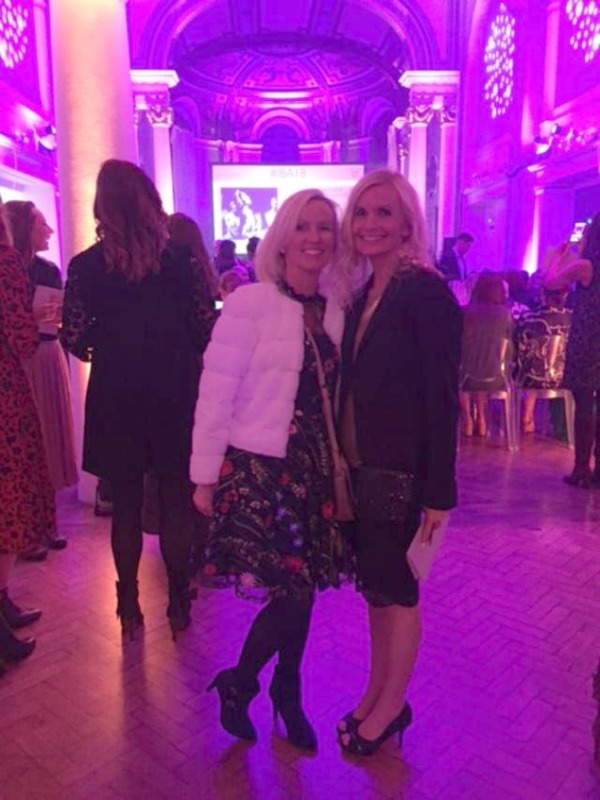 How in the world did this Midwestern mama end up in a historical London church illumined like Prince’s Purple Rain with a congregation of likeminded bloggers? We snapped a few selfies straight away. Then we explored One Marylebone’s architecturally brilliant interiors a little on our own, stopping at a mirror for a moment of sass. Sparkly chandeliers and all sorts of classic design elements to admire. After our exploring, we made our way to the cocktail party where all the nominees and designers gathered. We found a table just like the one below as the room began to overflow with guests. Arrive on time to get a great spot at the party – the fashionably late thing would have prevented us from feeling as though we were in charge…ha! 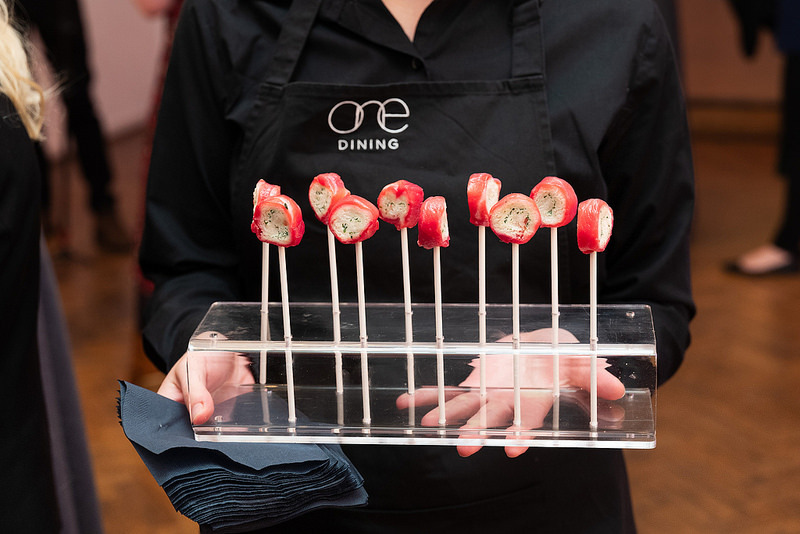 We sipped Prosecco, nibbled mystery treats like these salmon lollipops, and chatted with new friends. In particular, these two gorgeous Brits (by all calculations, they were likely the youngest attendees), who were gracious enough to share laughter with the Over-the-Hill-Olsen-Twins! Age matters not when bloggers of interiors and design enthusiasts gather…there’s a language we all understand. And below is my favorite photo of the night from Clément Lauchard! Don’t negotiate an arranged marriage at a cocktail party. Just don’t. We met some wonderful magazine editors, designers, and art curators before the ceremony as well before heading into the main event. Just before the ceremony, we finally ran into an American nominee from Texas! Keep track of the time as you sip so you can snag seats together with your pals in the gallery for the awards! Time for church, brothers and sisters. 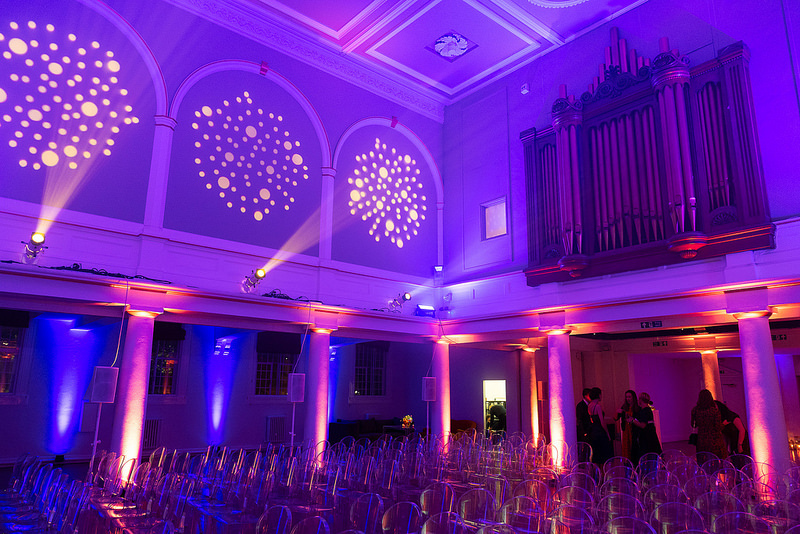 In lieu of pews, it was Louis Ghost Chairs – with violet glowing royally in the chapel. The host of the awards, Michelle Ogundehin, was polished, eloquent, funny, and a true fan of interior blogs. Bravo! 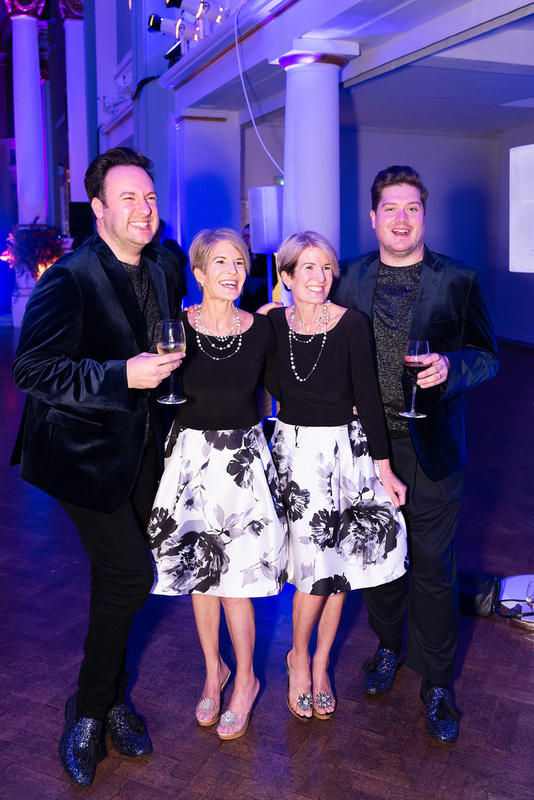 The event is international in scope, yet few nominees outside of the UK were present…which is one of the reasons for writing this post! The after party provided more fun people watching, and though my sis and I tried to get a moment and photo op with the Design Twins, they were much too in demand, and we were not about to stomp on their sweet buzz. Can you spot us in the crowd below? Do a bit of research and plan to connect with bloggers and designers you admire. A high percentage of bloggers I know are introverts, but awards night is a friendly safe haven for shy folks too. Before saying BON SOIR, it was time to swing by the coat check for goodie bags. 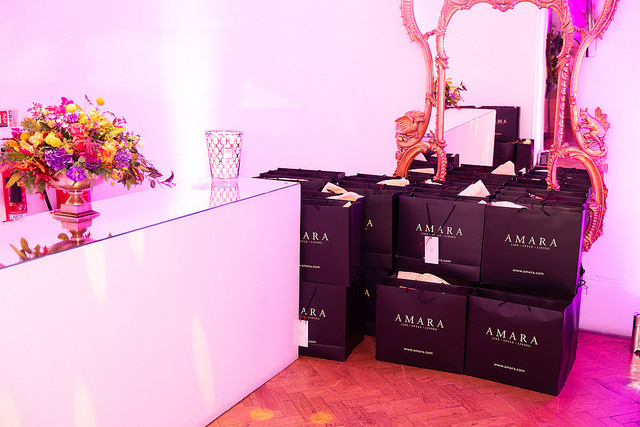 Amara’s yummy designer swag bags are not at all skimpy or shabby, sister…you’ll not mind schlepping this one home. We made time for a few more selfies. A huge MERCI BEAUCOUP to the blogger who snapped this photo of us just before we left in which our legs look extra long and Barbie-like. That is MY kind of photography voodoo, lovely blogger! 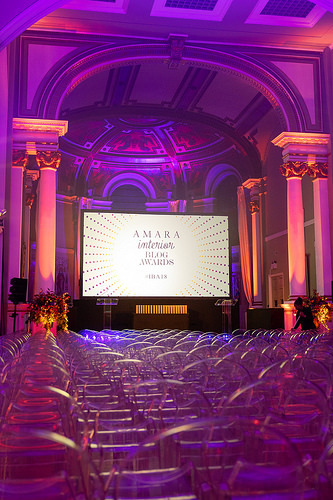 I am grateful to AMARA for orchestrating such a memorable event for the nominees and their guests. 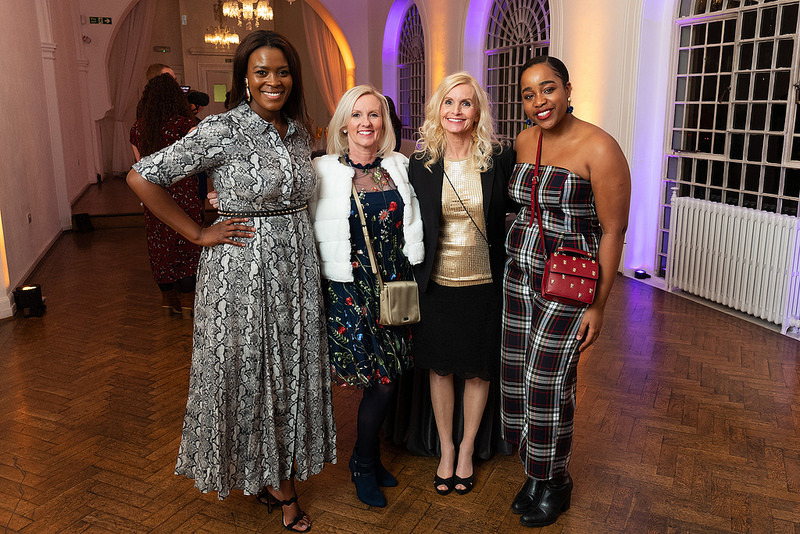 Interior blogging is frequently an isolating venture without any company spa days or holiday dinners, so a night of smiles, sparkle, and solidarity is a welcome treat for the community indeed. Thanks for sharing and taking me away with you on your exciting ,fun and anticipation filled night out . ….and in true Billy Crystal form —-you looked mahvelous! Thank you for sharing and glad you made it to London! Sweet post. Thank you for the virtual trip to the blogger awards! Wow! I giggled when you said the photo “made your legs look extra long and Barbie-like”. I’m betting you’re much taller than I am and your legs (lovely that they are!) ALWAYS look long and Barbie like compared to my little short 5′ 0″ frame. Hahahha! And I thought your outfit looked fabulous! Classy yet with party-going clearly in mind. What an amazing adventure! Can we turn back time and do it again? Oh wait, NEXT YEAR!!!! You looked beautiful and we’re easy to spot with your platinum blonde hair. Win or not, it was an amazing experience. You and Jo are so chic! 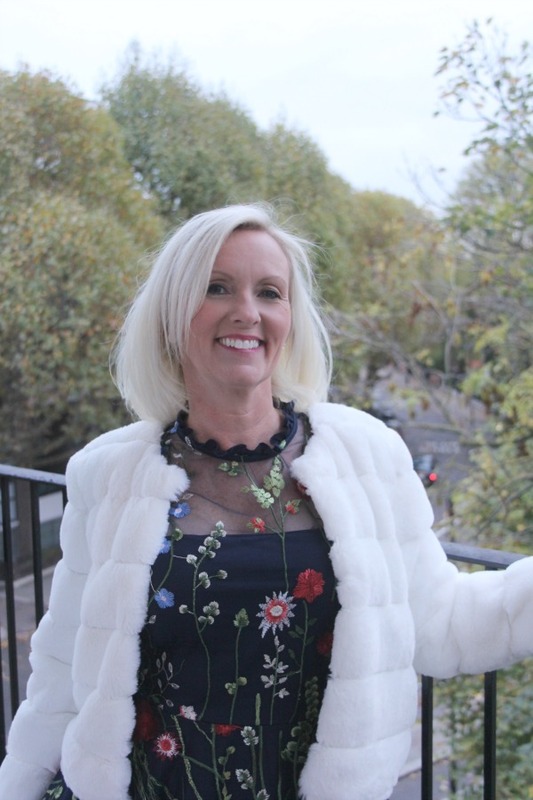 Thanks for all the tips although I’m quite sure I’ll never attend a blogger award gala!! 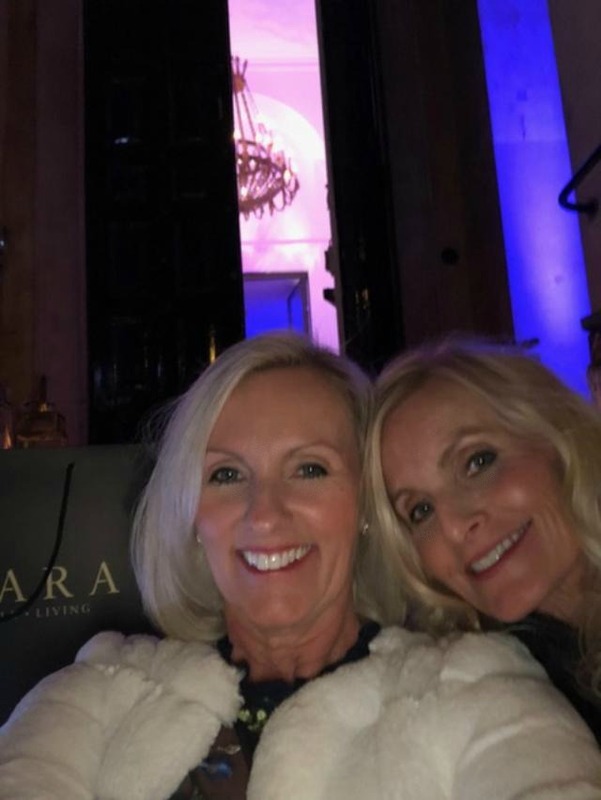 Looks like you had a fabulous time. Can’t believe you were only a few weeks post-op! Girlfriend! Isn’t she cute? You never know! I didn’t think I would find myself across the pond for it. It was fun to feel fancy for a minute and see London to boot. But I would not recommend that level of exercise so soon after surgery in your 50’s. I tried my best to keep up with my posse.